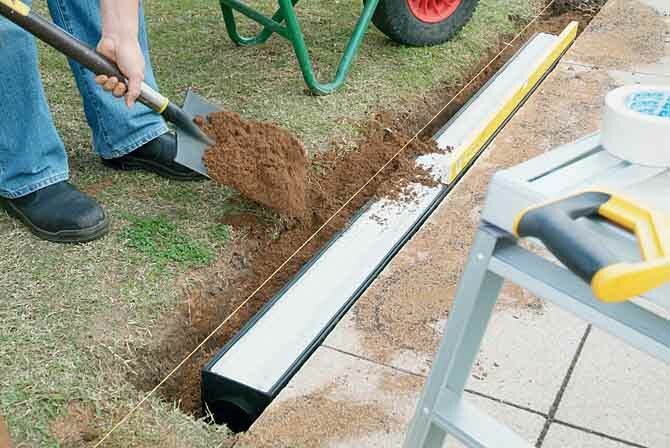 EXCAVATE - Prepare a neat trench and fix a line to determine the alignment and finished height of the proposed channel run. 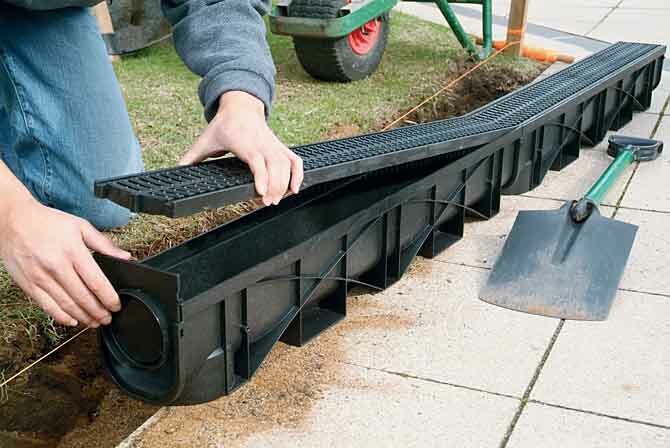 LAY A FIRM BASE - If the drain is to be trafficked by vehicles, lay a bed of good quality concrete. 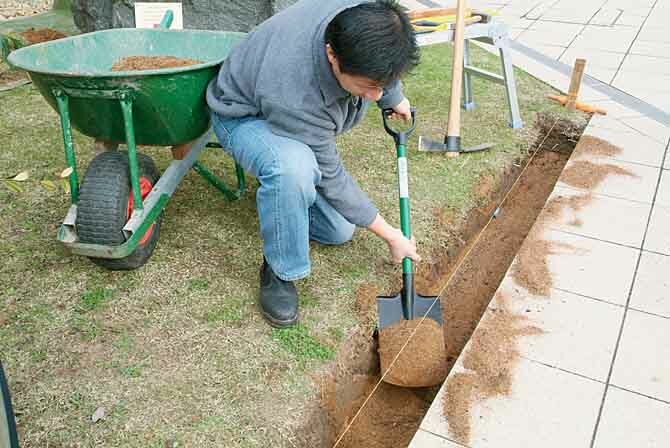 Otherwise, use a compacted fill along the base of the trench. 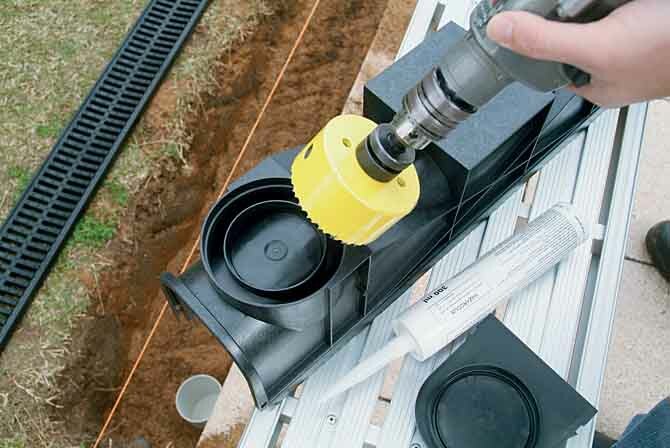 CUT THE OUTLET - Cut out the preformed outlet located in the base of the channel to allow connection to the drain pipe. 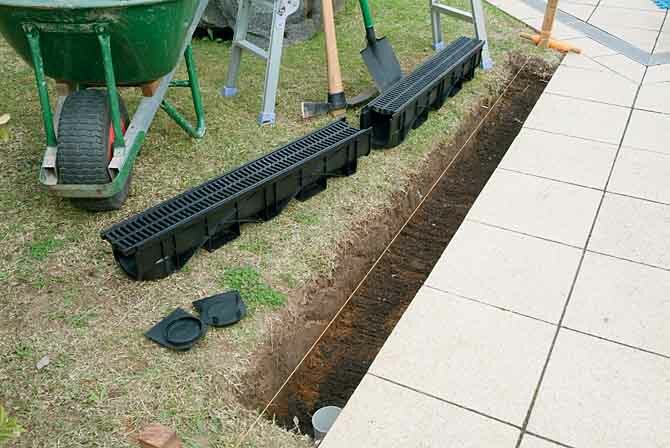 ASSEMBLE THE COMPONENTS - Connect the channels together and fit the endcaps. 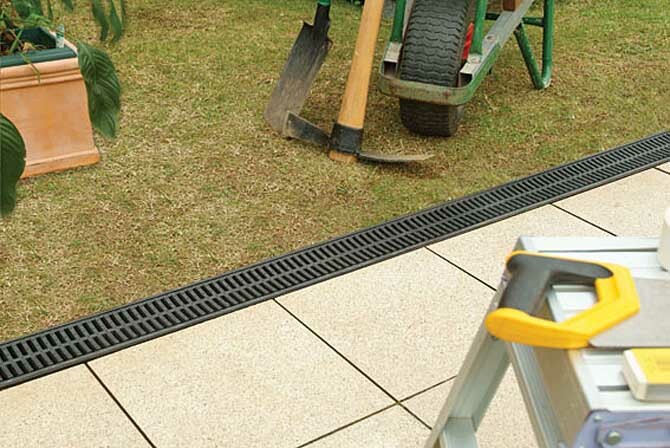 PREPARE FOR BACKFILLING - Mask along the grates over the entire run length. 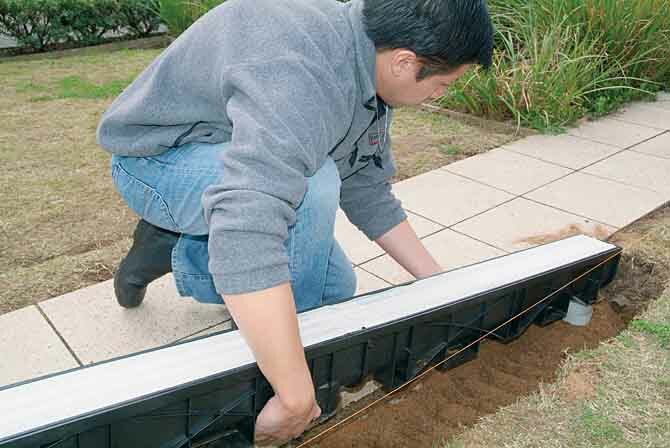 Lower the channel assembly, seal to the drain pipe and pack to the correct level.